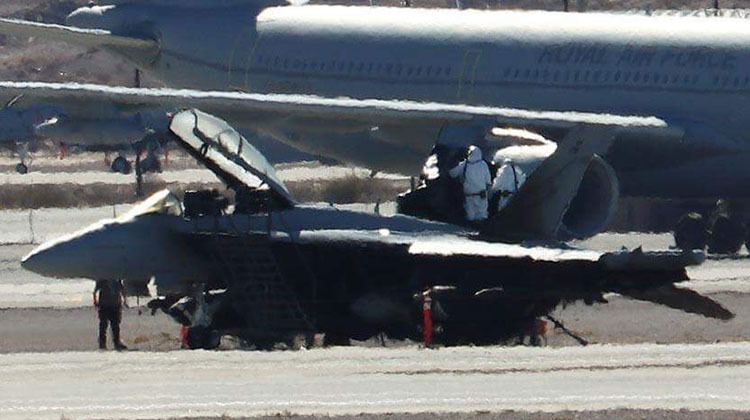 The RAAF EA-18G Growler which experienced an engine fire on takeoff from Nellis AFB in January has been officially deemed “beyond economic repair and has been withdrawn from service”, Defence has confirmed. The aircraft, serial A46-311, was taking off from Nellis AFB on January 28 for a familiarisation flight in preparation for Exercise Red Flag 18-1 when it suffered a catastrophic engine failure. 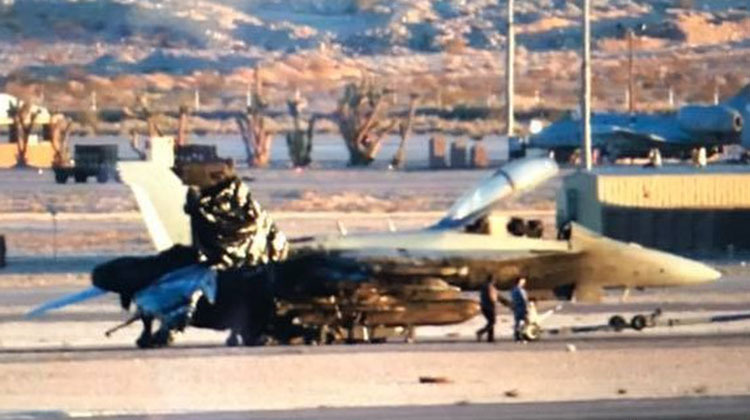 The two crew members stayed with the aircraft until it came to rest between Nellis’s eastern runway and a parallel taxiway, and were able to exit the jet and get clear of the growing fire. It is understood that, had the failure happened a couple of seconds later, the aircraft would have been committed to the takeoff and the crew would probably have had to eject over the desert north of the base. “The highly-trained aircrew responded to the emergency situation and performed a ground evacuation,” a Defence spokesman said on February 27. Sources say that a high-pressure compressor disk of the right-hand engine suffered a catastrophic uncontained failure. The turbine disk broke into three major pieces and these were ejected from the aircraft, with one destroying the right-hand vertical stabiliser, another considerably damaging the left engine, and the third damaging the runway. It is unclear whether the RAAF will look to replace the aircraft, or whether it will be considered part of an acceptable rate of attrition which would have been a factor when the original order for 12 Boeing-built EA-18Gs was placed. This is likely to be a process which will primarily involve government-to-government negotiations through the US Navy as the foreign military sales (FMS) parent service, rather than with Boeing as the prime contractor or General Electric as the engine manufacturer. Surely that’s covered under warranty! Warranty for Equipment that can be sent to war? Hey guys, it is called attrition. These machines do not come with a warranty, once delivered they are used till defunct! De Havilland were not obliged to give the Royal Navy two replacement Sea Vixens for the two I had to jump out of, I’m just grateful that Martin Baker provided them with good seats! Still a useful airframe – target practice for A-10 strafing runs! Why not bring it back to Australia for a museum display?